Luigi Russolo is widely credited as being the first major noise theorist with his 1913 Art Of Noises manifesto. And, of course, composers like Arnold Schoenberg, John Cage and Karlheinz Stockhausen played their part in breaking with classically established harmonic systems. Lou Reed's epochal Metal Machine Music signposted a way of breaking free of the impasse created by the endgames of the mid-20th. 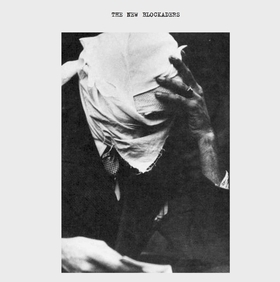 century avant garde.But contemporary Noise artists like The New Blockaders were the first to progress from the use of noise as assault on tonality to the development of a rich, complex language capable of subtleties of shade and nuance without sacrificing any of its feral power or ability to unlock repressed personae in the listener. Starting with their name, they combined a masked mythology with a militant anti-art/anti-music stance. Their stance manifested itself in a series of obliterating aural documents and a string of 'live offensives' that did violence to feeble concepts of musicianship and technique. They produced a barrage of pure noise that had only a very abstract connection to music: Masses of piled, scraping metals, multi-level drones and tense, swirling tape-loops fused into a symphony of massive noise. This was the very definition of nihilism through sound, proving that Noise music is in the domain of abstract art (though it may be an irony that although advocating anti-art they created superb abstract art in musical form). The metal-bashing of K2, the awkwardness of Runzelstirn & Gurgelstock, the density of Macronympha and the abrasiveness of Merzbow all owe something to the anti-music of TNB. They can truly be credited as pioneers of Noise music as we know it today.